The Meridian 4 satellite is carried by a Soyuz-2.1a rocket (Source: rian.ru). The Meridian military communication satellite was launched atop an unmanned Soyuz-2 from Plesetsk Cosmodrome in the north of Russia. The rocket failed to reach orbit, crashing near the city of Tobolsk in Siberia. According to Popovin, an the failure will be investigated in order to develop measures to fix any flaws in the Soyuz-2 rocket engine. It’s the fifth failure of a Russian mission in 2011. In February, failure of a Rokot launch vehicle caused the loss of the military Geo-IK2 satellite, which ended the wrong orbit. On August 18, the upper stage of Proton rocket missfired, placing the $300 million Ekspress-AM4,satellite into an useless orbit. On August 23, just a week later, the third stage of a Soyuz rocket carrying Progress M12-M failed, and the unmanned cargo spacecraft crashed in Siberia. On November 8, the Phobos-Grunt Martian probe failed to leave Earth orbit. Despite many attempt to reestablishing communications, the spacecraft was declared lost, and is expected to reenter Earth’s atmosphere by early January. The Progress M12-M failure of August 24 forced to a temporary suspension of all Soyuz flights, including crew transfer to the ISS, while the accident was investigated. Soyuz launched has been resumed in late October with the launch of Progress M13-M, followed by two manned Soyuz in mid- November and on December 21. 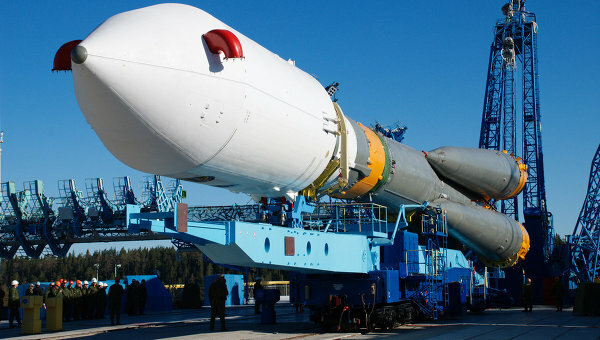 It is not yet known how the last Russian setback will affect the launch schedule of ISS-bound Soyuz rockets.